We first got involved in the industrial laundry sector when we were invited to undertake some consultancy work, though a customer of our textile business who had changed jobs to become a textile specialist at Berendsen. We learned about the persistent problems of residual staining and greying, initially on hospitality linen, and we knew we had the expertise and experience to make a difference in this area. We put together our textile processing knowhow, dating back more than 100 years, with fresh insight from chemical and educational partners, to develop a new technique to unlock stains previously considered impossible. This started out as a laboratory project, then grew into pilot, before becoming a fully-commercial operation. Our process can be adapted to suit all laundry sectors including hospitality, healthcare and workwear. Each suffer from similar issues which can be addressed through related but specifically tailored systems. We strongly believe that current, growing environmental awareness will put more and more pressure on textile processors and users to maximise the life and use of precious resources – and minimise the environmental impact of manufacturing new linens, through placing fewer new orders for replacement stock. Any system that can lengthen the life of linens can only be positive for the green credentials of laundries. Tell us more about the pilot project? How did you get it started and what did you learn along the way? We knew we had a great service to offer but the road was bumpy in places. For example, the seasonality in the hospitality sector meant that we were very busy between April and Christmas, but that activity died down in the off-season. We also had issues when there were changes in management at our key customers, meaning relationships needed to be rebuilt – which is a challenge in any industry. Slowly, more and more decision makers in the laundry sectors are starting to see the dual wins in cost savings and environmental benefit offered by the Regenex system – and are turning to us accordingly. Customers can see the difference in linens that we’ve treated but they are also reassured by tests we carried out with scientists at Leeds University, and an independent commercial laboratory, which show our processes – that are rigorous yet gentle – do not age or weaken fabrics. We also have spectrophotometer equipment to accurately measure degrees of whiteness restored to items. Can you explain the Regenex process? By understanding the fibres and the type of stain – be that rust, concrete marks, fake tan, oil or food – we are able to use our expertise and experience. 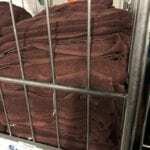 The Regenex process is a multi-stage chemically engineered system involving specially-developed textile processing techniques, in combination with some regular industrial laundry procedures, to deliver the desired results. We are not a laundry and only focus on the stain removal process. We wash and dry the items before inspection, but do not fold or iron items. As mentioned, the process is designed to maintain the fibre’s strength and structural integrity at every stage, while providing maximum stain removal and whiteness. You’re now ready to launch this wider – what types of businesses are you looking to work with? And what would they need to do to test out your process? We are looking to work with any industrial laundry, hotel group or organisation that wants to reduce its spend by extending the life of its textiles as well as making a commitment to the environment. This would also give them a competitive advantage over those which do not embrace this opportunity – an important factor in this price-sensitive and quality-sensitive market. All potential customers need to do is contact us through www.regenex.co.uk, save a reasonable amount of discoloured – but not ripped or torn – linen currently destined for the ragman, and we will do the rest. As well as rendering a considerable proportion of white linen destined for ragging reusable, our textile expertise has allowed us to extend our service to other services such as the dyeing of continuous roller towels, the topping-up of faded coloured table linen or the re-dyeing of coloured spa towels. Can you provide a case study? Or quotes from clients involved in the trial? 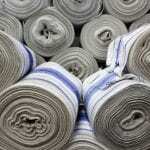 “I have been working with Regenex now for nearly two years and processed over 120 tonnes of previously condemned linen using their system, I have tested the returned linen both for cleanliness and “life” left in it and can now state that in my opinion there is a viable cost effective alternative to the early disposal of serviceable linen and purchase of new stock. Did you work with hotels as part of your pilot project? Our pilot plant project was undertaken in collaboration with the Industrial laundry sector, not individual hotels, but as you would expect, in order to test our capabilities we partnered with the laundries who were servicing some of the highest quality hotels in the UK with very exacting standards. We are working with laundries servicing some of the highest-end hotels based in London, Scotland and the Lake District. Increasingly, a large proportion of the public see an organisation’s environmental credentials as a key selling point, and want to spend their hard-earned money in a responsible manner. This has been reflected in surveys which state a high percentage of millennials, for example, will pay more for products and services which can demonstrate green credentials. We believe that extending the life of the hotel linen in the future will be considered standard good practice, in the same way as hotels asking patrons to consider the environment when leaving towels for washing. What feedback did you get from hotels and housekeeping teams? We haven’t dealt directly with hotels and housekeeping, but we have been made acutely aware of the frustrations felt by teams when the linen provided to them is not fit for purpose, and so requires replacing – or worse still, is noticed and criticised by the hotel customer. Each of our processed pieces is visually inspected to the highest standard, and our rejection rate on returned linen is far lower than normal laundries. What difference have they noticed? in their stock levels and quality? We have undertaken extensive quality tests on the structural integrity, strength and whiteness of the linen we return – and so have confidence that the linen which was destined to be ragged is returned in a state which is acceptable to any of the hotel chains. 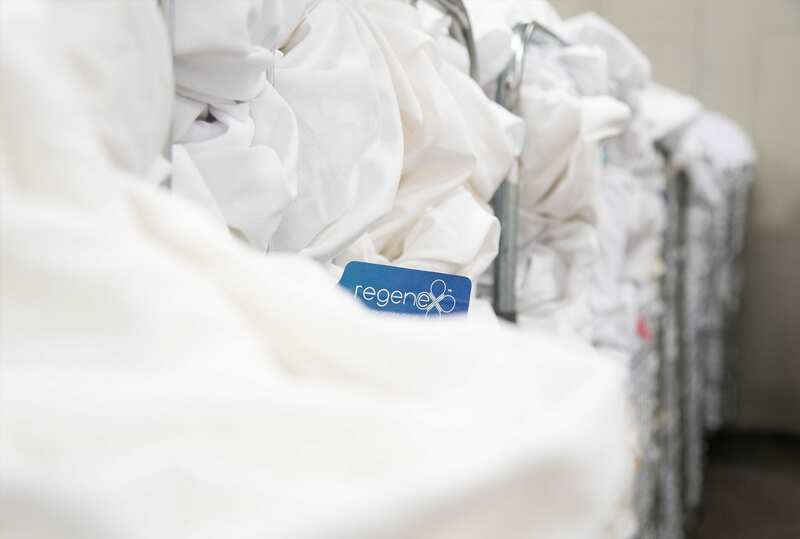 By using the Regenex process, our customers can reduce stock holding, by reducing the volume of linen in the laundry system that is unfit for purpose. Sending these items to Regenex streamlines their operations and makes sure items undergoing everyday processing meets requirements.